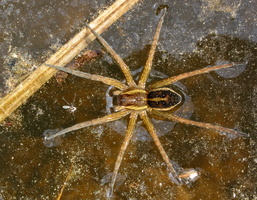 EN: The raft spider. 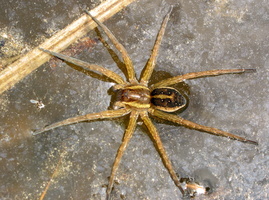 Found only in or near damp places. 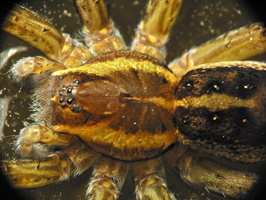 They are capable of moving across water and submerging themselves for periods of time to protect themselves from predators. 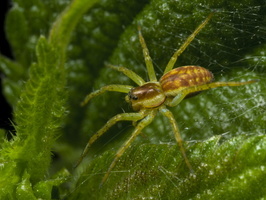 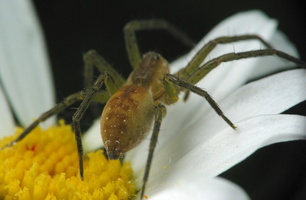 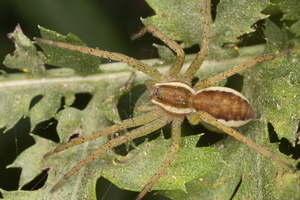 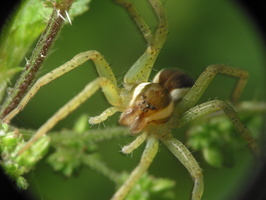 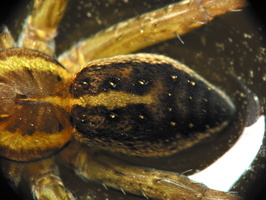 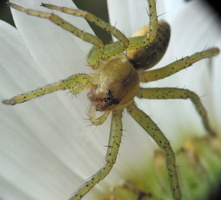 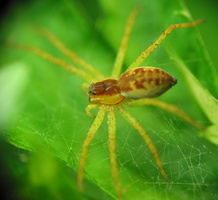 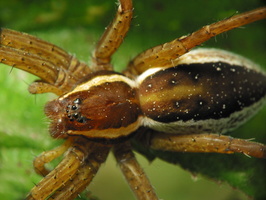 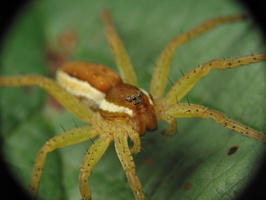 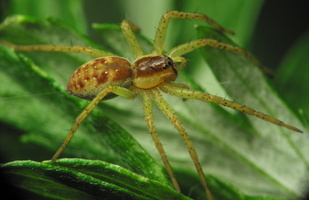 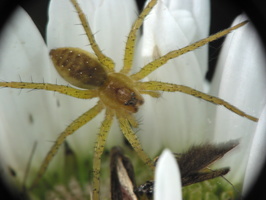 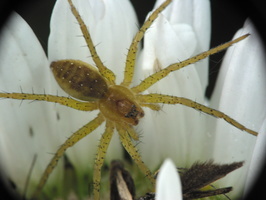 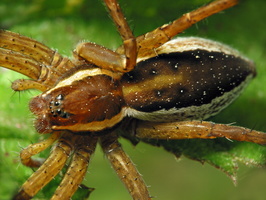 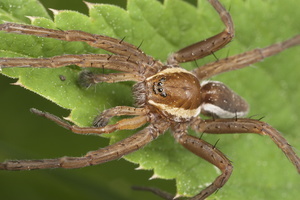 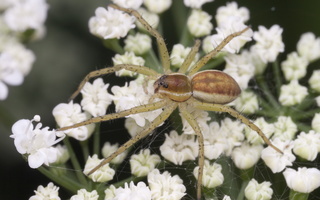 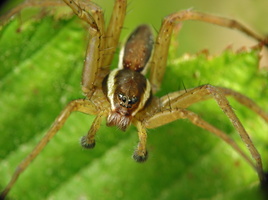 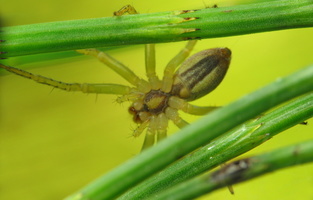 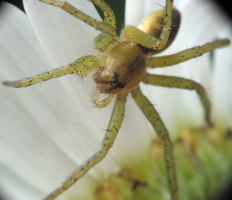 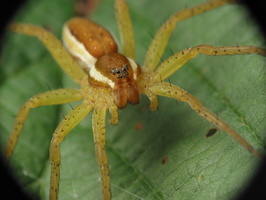 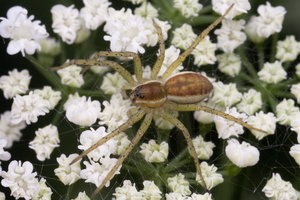 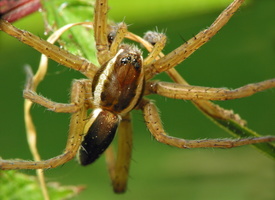 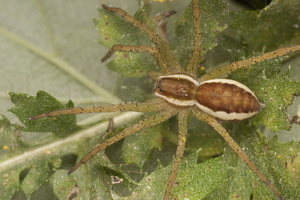 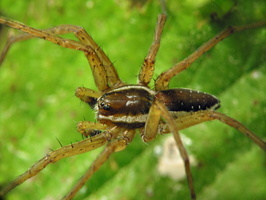 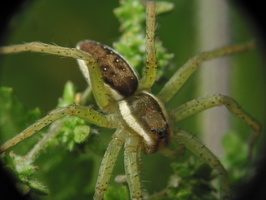 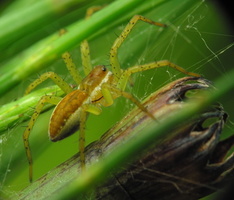 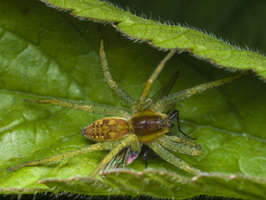 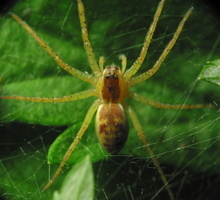 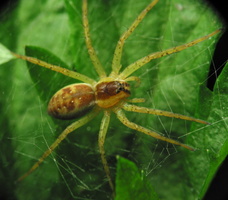 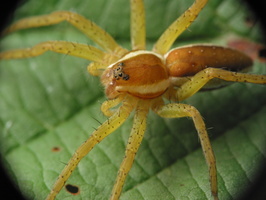 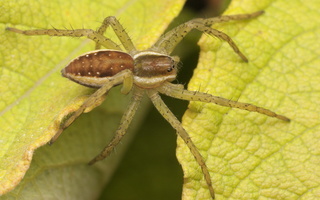 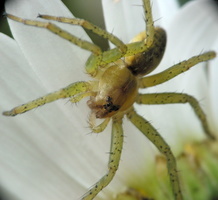 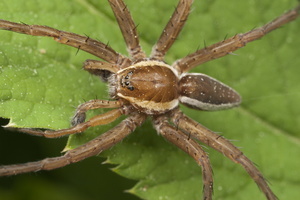 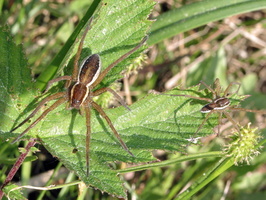 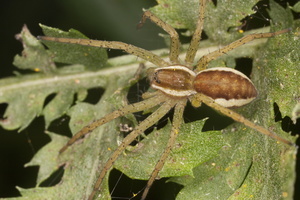 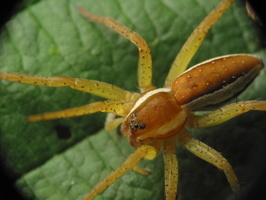 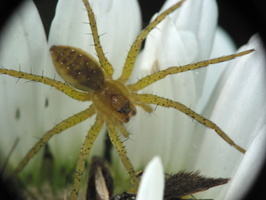 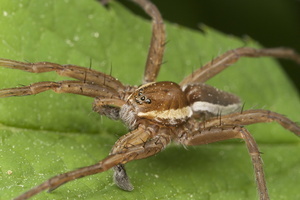 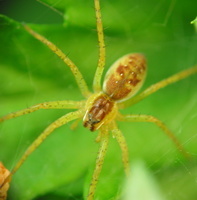 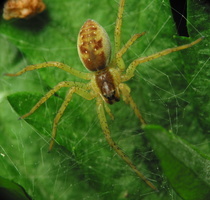 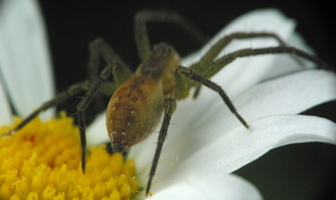 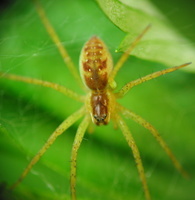 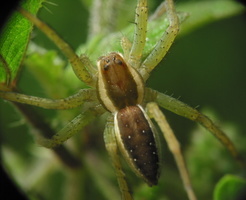 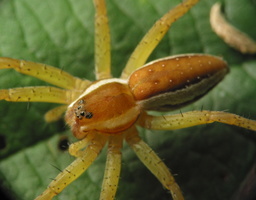 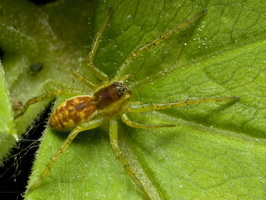 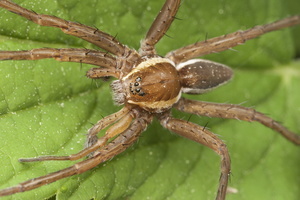 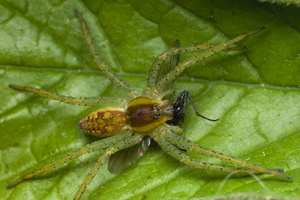 Adult females are the larger of the species with bodies measuring 22 mm long and with a leg span of about 70 mm - the largest spider in Lithuania. 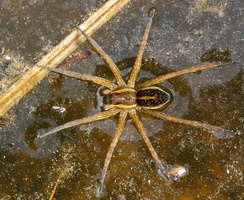 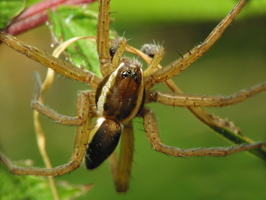 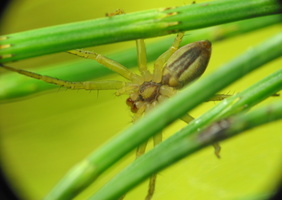 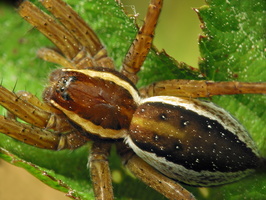 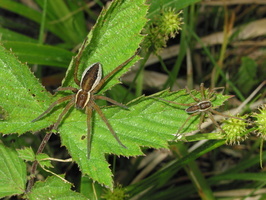 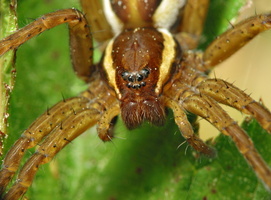 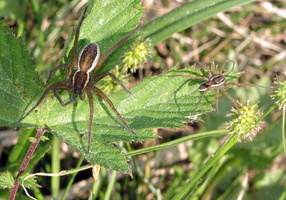 Raft spiders are semi-aquatic and live their lives around acidic bogs. 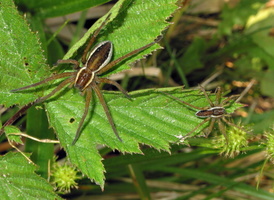 They are dark brown or black in color with a large stripe of white or cream along their sides.